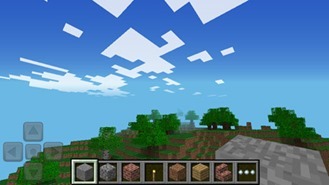 Minecraft Pocket Edition Updated To v0.6, Brings New Blocks, A Better Sky, Signs, And Awwww! Baby Animals! 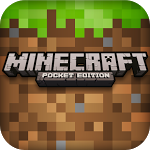 Mojang may have a mortal fear of giving releases full version numbers, but that hasn't stopped the company from cranking out new features like mad. 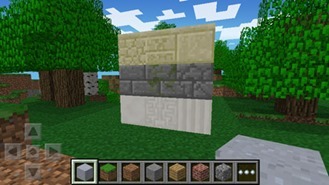 Today's update brings a slew of new blocks (including Nether Brick, Block of Quartz, and Sandstone), as well as the ability to build staircases in corners. Oh, and one other thing: the sky finally has clouds now. The new goodies don't stop there, though. Gravity is also finally in full swing, so now things like sand will fall when the foundations beneath them are removed. Finally, no Minecraft update would be complete without new creatures, would it? Last time it was zombie pigmen. This time? Baby animals! Because what's cuter than a little pink block-pig? A smaller pink block-pig! The update is available on the Play Store via the widget below.